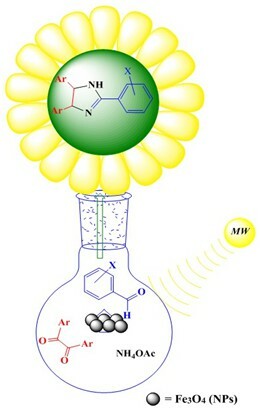 Fe3O4 magnetic nanoparticles (Fe3O4 MNPs) were prepared and used as an eco-friendly, reusable, low-cost and efficient catalyst for the synthesis of 2,4,5-trisubstituted imidazoles via three-component reaction of aromatic aldehydes with benzil and ammonium acetate under low power microwave irradiation and solvent-free condition. This one-pot procedure is very simple with good to excellent yields. 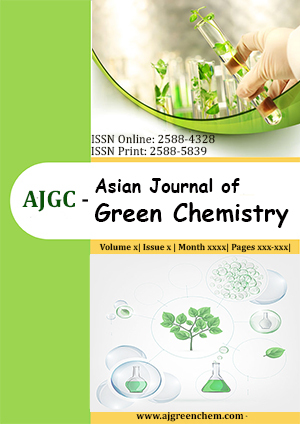 Easy separation of Fe3O4 MNPs from the reaction mixture by an external magnet and the reusability of the catalyst are the considerable points of the reaction.